9:40 AM What Does it Take to Survive in the Digital Economy? How Does an Organisation Survive Amid Market Saturation and Intense Competition Fuelled by Advanced Technologies? 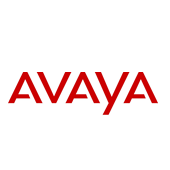 In this session, Peter Chidiac (Managing Director A/NZ at Avaya) will explore the role of data, automation and intelligent connections in survival, and provide insights into the leading strategies that are helping Australian organisations beat their competitors. He will also analyse the importance of partnerships, and how alliances with key partners – such as Flamingo Ai and Afiniti – enable Avaya to create Intelligent Experiences.